The Golden Amazon by John Russel Fearn was introduced to the world in its second form in 1944. 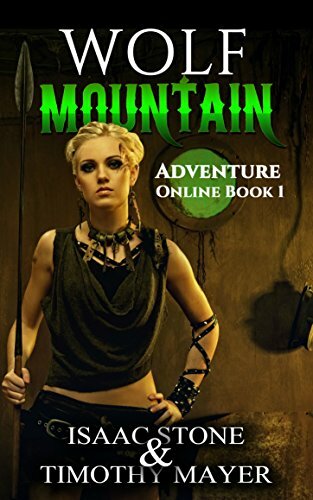 Although Wildside Press is publishing many of the books in this series, they started with book seven because it was decided this was the most appropriate book for a beginning. However, the real beginning of this series was with this first book. This is the secret origin of Violet Ray Brand, the Golden Amazon of fame. As has been said before. The first round of the Golden Amazon was in a series of planetary romances where she was a human woman of immense power raised in the jungles of Venus. Fearn decided to revamp it in 1944 as a whole pulp heroine. Therefore, that makes this book -6 if you mark them by the Wildside Press method. “The beginning,” Says the face of Princess Irulan in the 1984 version of Dune, “is a delicate time.” Know ye that it is the year 1944 when this book begins. Two scientists are discussing the current blitzkrieg of England. One of them suggests that the only way to stop mankind from this senseless path of destruction is to turn it over to womankind. But not just any woman, the human race must be led by a woman of supreme intelligence and fortitude. However, one of the scientists has just the method: glandular surgery. Okay, this may seem a little hokey today, but glands were all the rage at the midsection of the last century. There was even a surgeon in Wichita, Kansas who claimed he could restore man’s vitality with goat gland transplants. His opportunity comes when he finds a girl child who has survived the bombing of an orphanage. She has no identity, but the scientist is able to make out the syllable “Ray” in her papers. Since she has purple eyes, he names her “Violet Ray”. Then he bestows on her his experimental gland surgery, which will make her a superhuman. Unfortunately, the scientist himself is wounded in another bombing, but manages to give little Violet to a humble family named “Brandt” before he dies. Thus, the Golden Amazon, Violet Ray Brandt comes into existence. Little Violet grows up in a family that does better financially after the war ends. However, she seems to have extraordinary powers of strength and persuasion. The first thing her parents notice about her is that she kills a butterfly just to find out if she can do it. She becomes manipulating and domineering. By the time she reaches maturity, young Violet has enough money to get just about anything she wants. Then she decides to use her wealth to reorganize the human race. The result of the scientist’s experiment creates a superhuman psychopath. There is a very chilling sequence where she attempts to take out one of her adversaries by destroying an airliner and everyone on it. Soon the entire world is on her thrall. Can no one stop her? The book has an extensive introduction by the foremost Golden Amazon specialist. He is able to put her into the whole post WWII pulp explosion and how the series could be inserted in Sunday supplements of the daily papers. He explains why the last reboot started at book #7 as it was the one where the science wasn’t outdated. There is a whole sequence of Golden Amazon stories that were published in the earlier magazines where she was a Tarzan character raised by in the jungles of Venus. The publication of this “Origin” novel is long overdue. If you want a look into how the whole Golden Amazon saga begins, this is the book to read. Okay, the science is a little sticky at times; there is even a scene where the air police rendezvous with the Golden Amazon’s flagship flying over the Atlantic that is right out of Buck Rodgers. However, this is a book with verve and plenty of it. For that reason, I have to give it a recommendation.